George worked as a Custodian for many years for the Bridgewater Board of Education before his retirement in 2007. 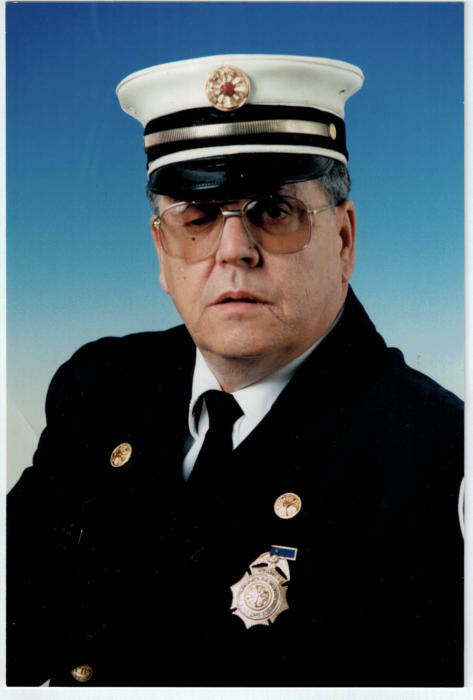 He was a lifelong member of the Middlesex Fire Department Lincoln Hose Company #1, serving as a past Fire Chief. George was a member of the American Legion Post #261 and the Middlesex Elks. He will be greatly missed by all who knew and loved him. George is predeceased by his first wife, Maryanne (Eckert) Taylor and by his brother Gregory Taylor. He is survived by his loving wife Debbie Mayo-Taylor, daughter, Lorianne Smerecki and husband Nick of Piscataway, son, George M. Taylor II and wife Bobbie of Flemington, son, Joseph Gurrere of Manchester and daughter Bobbie-Jo Mayo of Piscataway, grandchildren, Rose Taylor and J'Ella Mayo, sister, Rosemary and husband Wayne of Edison, brother, William Taylor and wife Gloria of Neptune, and many loving nieces, nephews, and friends. There will be a visitation on Monday; February 18th, from 2-4 & 7-9PM at the Sheenan Funeral Home, 233 Dunellen Ave., Dunellen. A funeral mass will take place on Tuesday; February 19th at 10:30AM at Our Lady of Fatima Church, Piscataway. Burial to follow at Resurrection Cemetery, Piscataway. In lieu of flowers donations can be made in George's name to the Middlesex Fire Department, 615 Mountain Ave, Middlesex, NJ 08846.